Max van Manen offers an extensive exploration of phenomenological traditions and methods for the human sciences. It is his first comprehensive statement of phenomenological thought and research in over a decade. 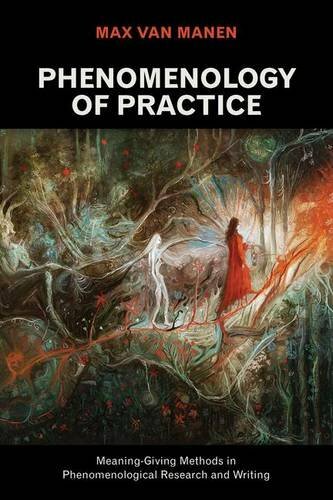 Phenomenology of practice refers to the meaning and practice of phenomenology in professional contexts such as psychology, education, and health care, as well as to the practice of phenomenological methods in contexts of everyday living. Van Manen presents a detailed description of key phenomenological ideas as they have evolved over the past century; he then thoughtfully works through the methodological issues of phenomenological reflection, empirical methods, and writing that a phenomenology of practice offers to the researcher. Van ManenÃ¢ÂÂs comprehensive work will be of great interest to all concerned with the interrelationship between being and acting in human sciences research and in everyday life. About: Max van Manen offers an extensive exploration of phenomenological traditions and methods for the human sciences.